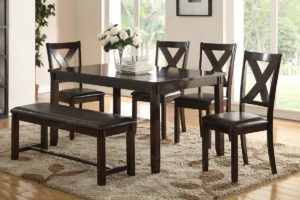 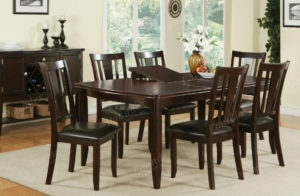 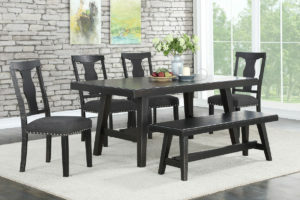 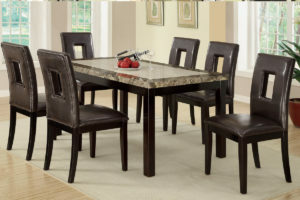 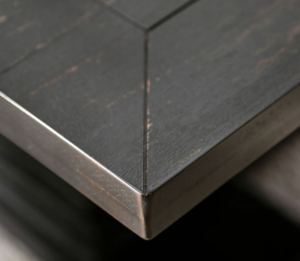 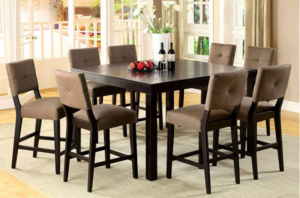 Showcase your dining room with this modern and refined collection dining set. The upholstered dining chairs are crafted with shining faux leather and nailhead trimming, designed with luxury in mind. 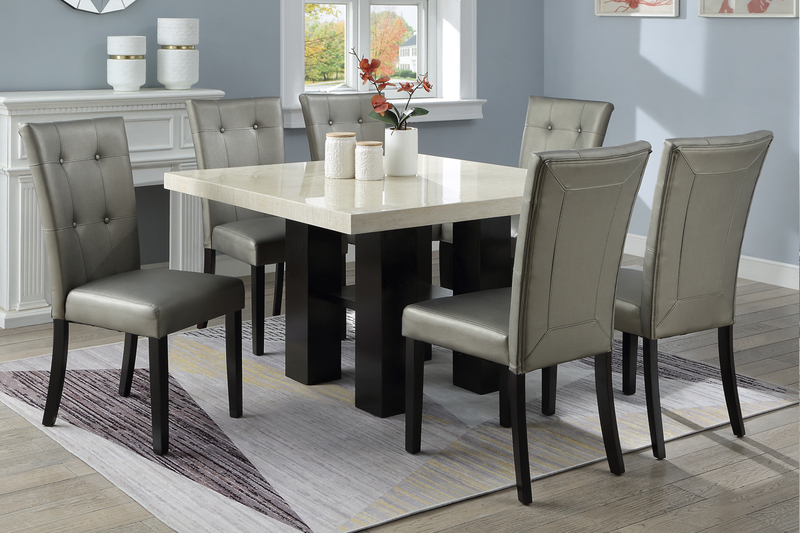 Contrast between the marble surface dining table and the nailhead faux leather chairs show your sophisticated taste for your dining space.